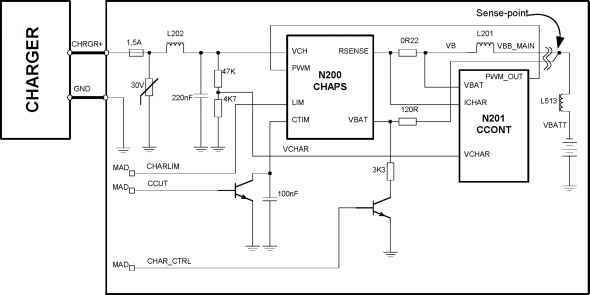 The interface is basically a 4-wire solution which gives two completely separate audio-paths, microphone- and earpiece-signals. 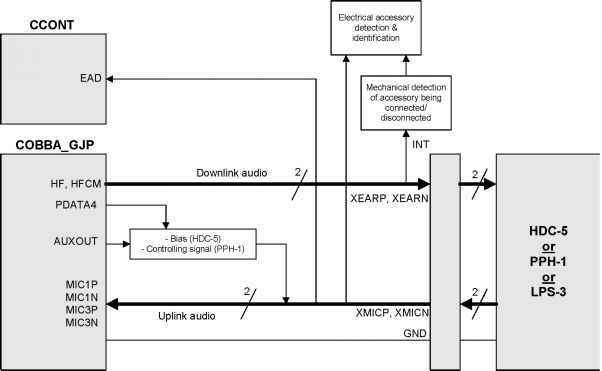 External earpiece speaker XEARP (external earpiece, positive) External microphone XMICP (external microphone, positive) XMICN (external microphone, negative) Figure 27 External Audio Interface- Block Diagram Compared to DCT3 the Janette interface doesn't include a digital audio interface. The audio is only analogue. Slide the A-Cover on to the D-Cover 2. Push down the lower end ofthe A-Cover until it snaps on. 1. Slide the battery side with the PCB pads under the hooks in the D-cover. 2. Push down the battery until it locks. 1. Slide the battery side with the PCB pads under the hooks in the D-cover. 2. Push down the battery until it locks.